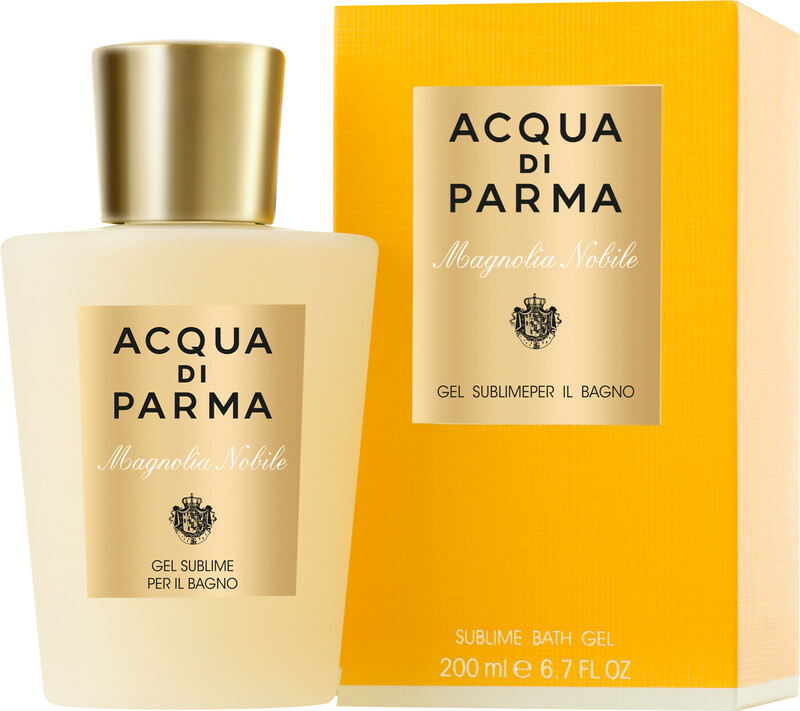 Surround yourself with the creamy bubbles of the Acqua di Parma Magnolia Nobile Sublime Bath and Shower Gel, a decadent body cleanser. The pearlescent bath gel transforms into a beautifully velvety and rich foam that caresses the skin with moisture. The luxurious texture of the foam makes for a wonderful shower experience every day, and leaves the skin smooth and supple with a fresh feeling. 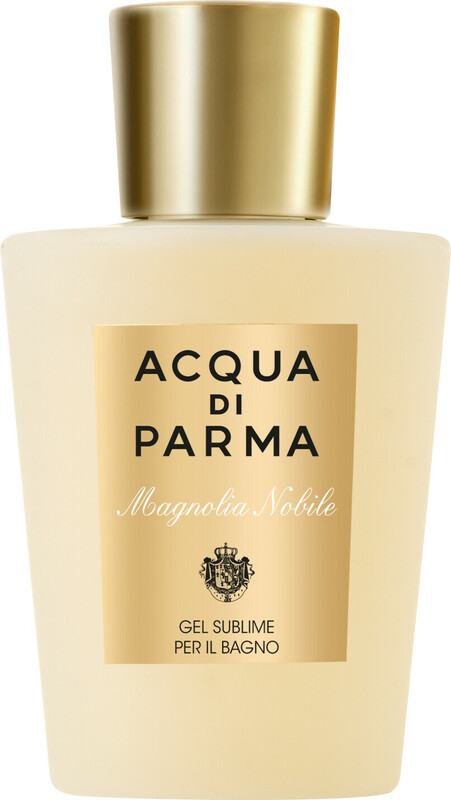 The gentle, nourishing Magnolia Nobile Sublime Bath and Shower Gel formula is made up of moisturising silk protein and pro-vitamin B5, a composition that respects the delicate balance of the skin.